The Global Center delivered a training course on countering violent extremism in prisons (CVE-P) for four prison facilities housing violent extremist offenders (VEOs) in Morocco. 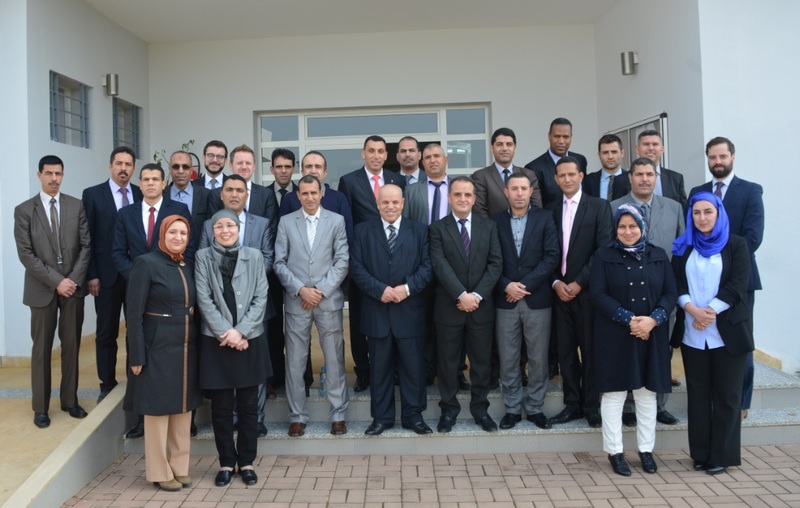 Hosted at the National Prisons Training Academy in partnership with the Moroccan Délégation générale à l'administration pénitentiaire et à la réinsertion (DGAPR) and the Rabita Mohammadia des Ouléma, the training included the participation of 20 Moroccan frontline prison staff, and five central prison headquarters personnel. The four-day training focused on understanding radicalization to violent extremism among prisoners; managing violent extremism in prison environments; and developing the role of frontline prison staff in countering violent extremism. Building on participants’ own experience and knowledge, the training centered on locally-tailored discussion sessions, case studies, scenarios, and other tool kits such as the Global Center’s Prisons Radicalization Awareness Guide. After four days of engagements, training participants drafted a list of recommendations to further enhance the management of VEOs in their prisons, and further outlined ways in which they would develop their personal approaches to improve their management of VEOs in line with international best practices and standards. Closing remarks of the training were provided by the Delegate General of the DGAPR, Ambassador of Canada to Morocco, and the Deputy Ambassador of the Netherlands to Morocco.